Soap and Glory are one of my favourite skincare and beauty brands and when I found out they had brought out a new line of face masks, I headed straight to Boots, literally. To my despair, a lot of other Soap and Glory lovers had beat me to it and the shelves were pretty empty so I only managed to try out the two sheet masks from the range, but it's safe to say they did not disappoint. I'd never tried sheet masks before trying this one so at first, I didn't really know what to expect. I was pretty shocked when I ripped the packet open to discover how soaked the mask truly was. I was expecting it to only have product on one side, but this wasn't the case. I unfolded the mask, or shall I say tackled the wallpaper paste and placed it over my face as directed on the back of the packet, thank goodness for instructions. The mask itself includes; hinoki cypress leaf essential oil, gotu kola extract, white willow bark, lavender, chamomile flower, tea tree and mint leaf extracts. Once applied, I felt it working straight away. Due to its ingredients, the mask has extremely cooling proprieties which felt so refreshing on my skin. You're instructed to leave the mask on for 15-20 minutes, however, I left it on for about 20-25 minutes, purely because I couldn't stop looking at how ridiculous I looked. How do people manage to take cute selfies whilst using sheet masks? I looked like a paper mache project gone wrong. Once removed, the redness of my skin has reduced and my skin was majorly soft. I will admit, when it say it's cooling, I could not have left this on any longer as my face had almost started to go numb. Overall, I did enjoy pampering myself with this mask and I would purchase it again. I can't say I noticed any difference in my pores like it says on the packet, cries. But, I did have a horrible spot come up on my forehead before using the mask and afterwards the redness had reduced dramatically so it must be doing something right, yay. This was definitely my favourite of the two! 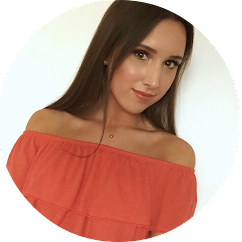 Ingredients included within the mask are; vitamin C, white flower brightening complex, rooibos tea extract, gotu kola extract and flatterspheres radiance boosters to help illuminate and brighten the skin. The first thing you're hit with when opening up the mask is the pleasant citrus smell of all the ingredients, honestly, it smells divine! The mask worked like an absolute treat, and I was surprised to how true it lives up to its claims on the packet. It really did soothe and brighten my skin whilst making it super soft and I will definitely be re-purchasing this one! Yay for another gem from Soap & Glory! 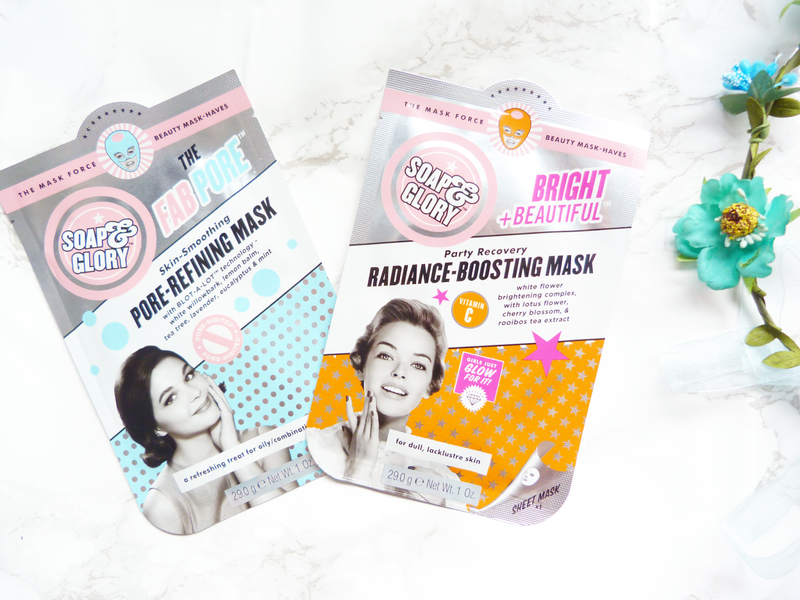 Soap and Glory did not disappoint with these masks, if you haven't tried these already and are a Soap and Glory lover then you definitely need to check these out. The full range can be found here.